Effortlessly luxurious, the Boutique Walk-In for Corner with Side Panel excels in form and function. 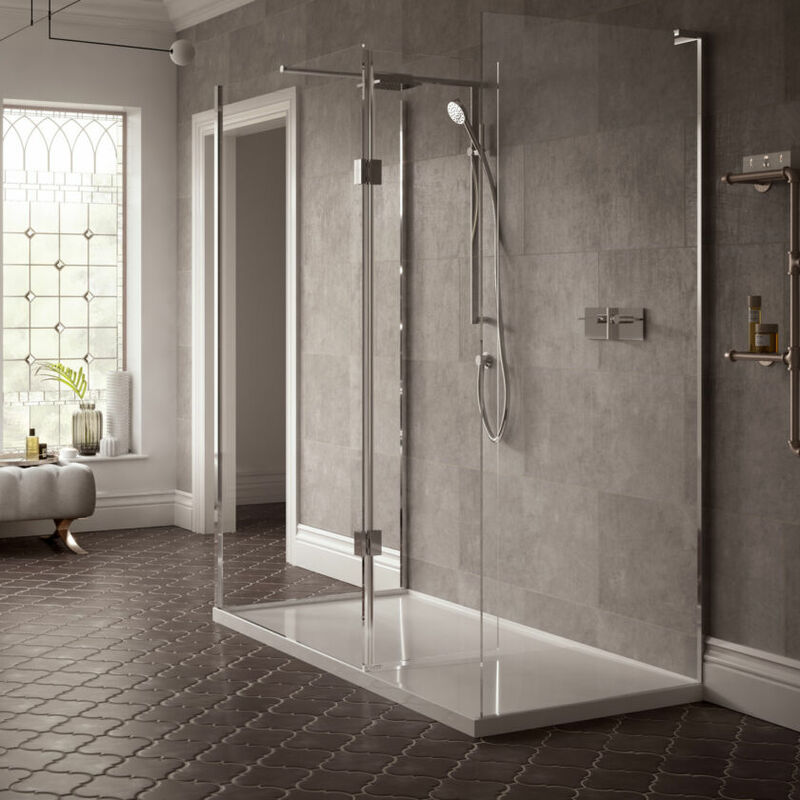 Appearing almost completely frameless, there is a clever junction between the Glass and integrated Shower Tray providing an invisible watertight seal. 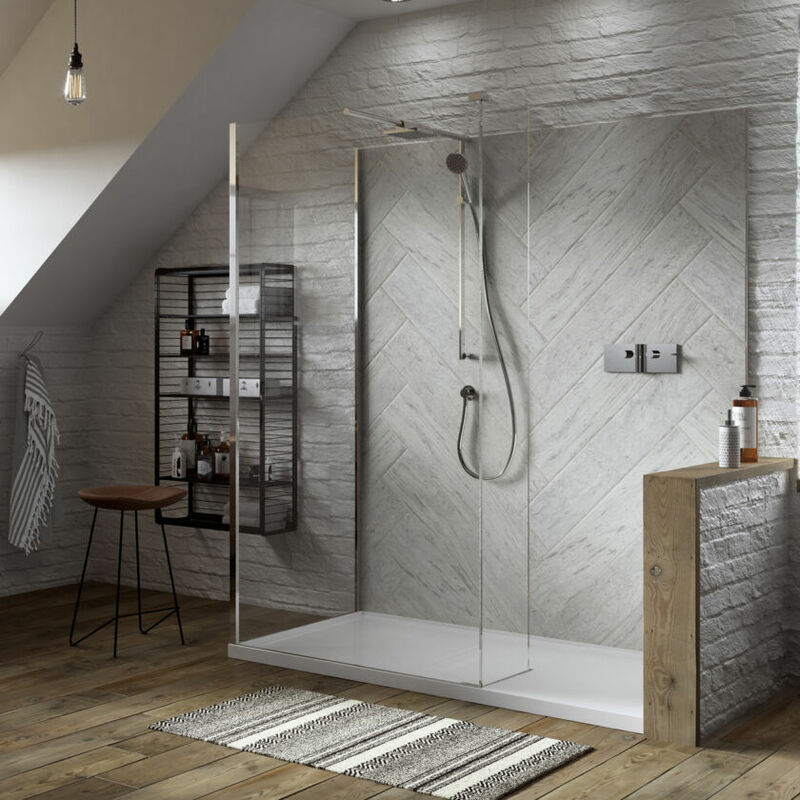 It is possible to incorporate the Shower into the setup by way of a luxurious overhead Deluge and a convenient Hand Shower creating a luxurious all-in-one solution.